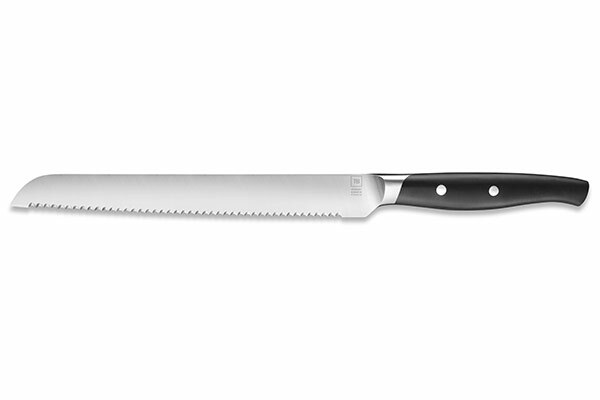 The high-chromium stainless steel used for the manufacturing of the Maestro bread knife blade can resist corrosion. 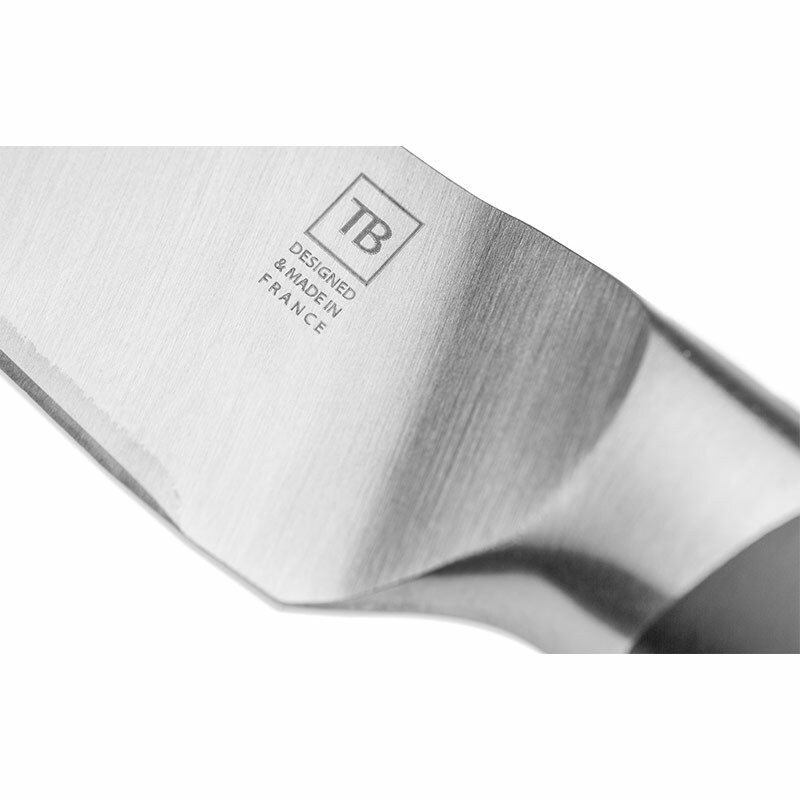 Created by the Design & Creation department of French knife maker TB Groupe, this knife is also made of high carbon which ensures an efficient cutting power and an intense sturdiness. Very easy to clean, this Made In France knife is dishwasher compatible. It can also be personalised with laser engraving. 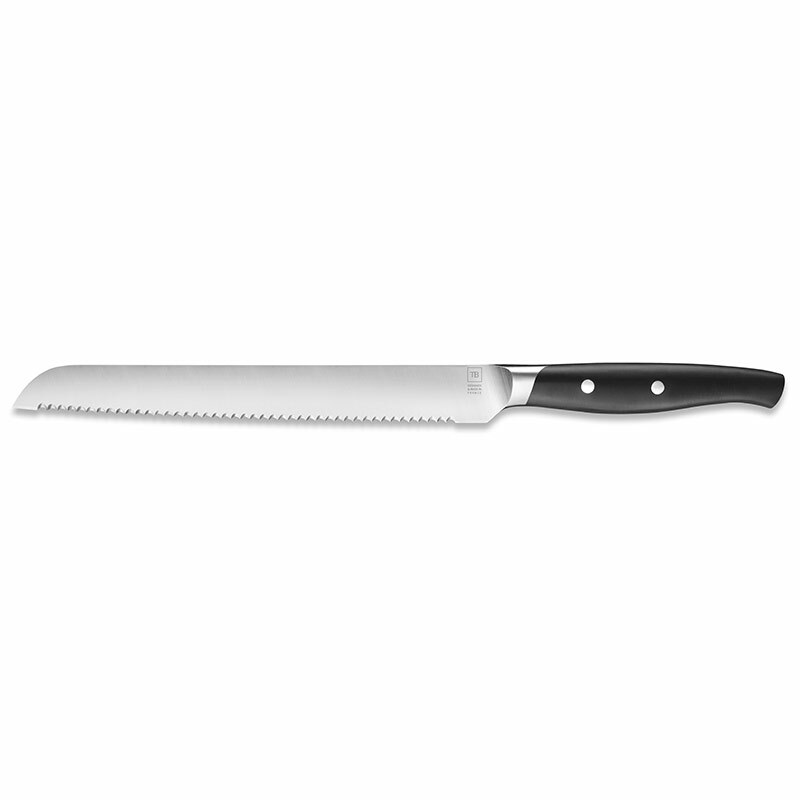 The serrated and solid blade of this Made in France knife, which style is both classic and modern, enables you to cut all sorts of bread from the French baguette, to loaf, white bread and sandwich. 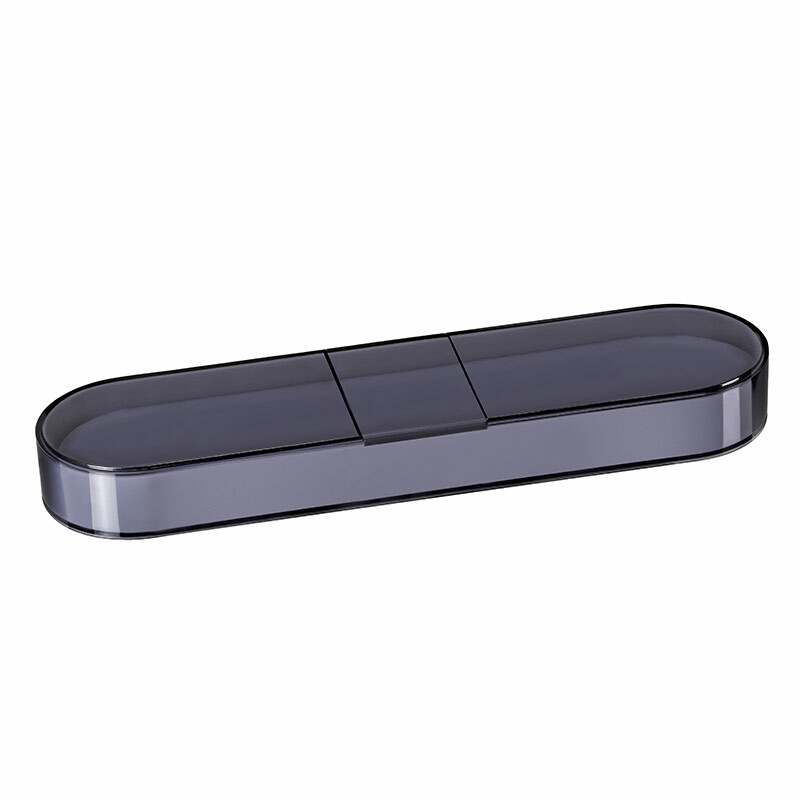 The polymer handle of this bread knife is very easy to use and very solid. The bread is neatly sliced rather than squashed and torn to crumbs.